As you’ll probably be aware reading this blog, we have recently revamped our website. The revamp included a new animated video on our home page, letting visitors know more about The Consultancy, who we are and what we’re about. It’s a tool we’ve used with great success before for our sister company Glazing Vault, but it’s the first time we’ve utilised it for The Consultancy. Initial feedback has been great, but it got us to thinking, how much animated video is used as a marketing tool and with how much success? Did you know that 65% of people are visual learners? That means they are more likely to remember something if they see it in pictures, than they are if they see it written in text or hear it in the spoken word. There has for a while been debate about this very topic, encouraging schools and universities to recognise this fact and adapt the way they teach to help more people learn more easily. However, that’s not for today. Today we’re looking at using visual content in your marketing. There has certainly been a shift towards visual content on social media with Facebook now averaging over 4 billion video streams every single day. And for good reason. After watching a video, 64% of users are more likely to buy a product online. Also, if you include a video on the landing page of your website, you can increase conversions by 80% or more. It makes sense then to market your wares visually, as well as with the written word. However, it has to be the right video. With more of them out there, you need to make sure yours cuts through the noise. Another talking head may no longer do the trick. Internet users have short attention spans and won’t spend long on any one video or visual. 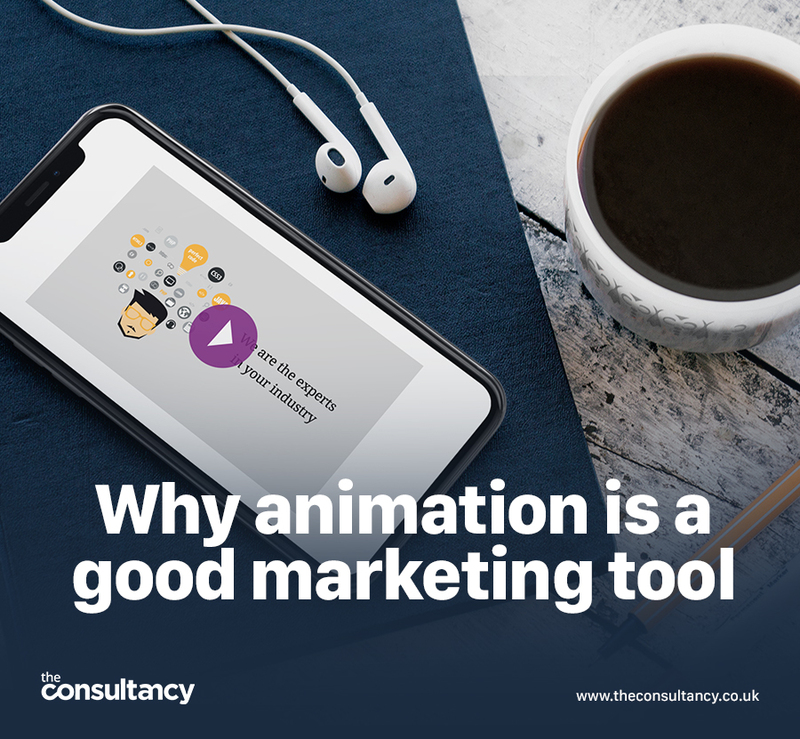 Animation though gives you a good chance of engagement because it has been less used in the past as a marketing instrument. Whatever the subject of the animation, it also evokes a feeling of nostalgia in most of us, which is in turn more likely to get people’s attention and keep it. Animated video is also great for bringing more complex topics to life. Whether you want to demonstrate specific mechanisms or processes or explain a range of services in a more user-friendly way, animated video can make it easier for the user to grasp. A great example of using animation for explanation is TED-Ed. If you are not signed up to their YouTube channel yet, it has over 3 million subscribers and is one of the most popular educational channels on YouTube. Most videos created by the team use animation. It simplifies otherwise difficult topics like how the food you eat affects your brain or the physics of the “hardest move” in ballet. So, in short, animated videos are easy to understand and have broad appeal. They make even the most complex of subjects interesting and easy to grasp. For all these reasons and more, they are being labelled as one of the most important aspects of marketing strategy in 2018, so if you haven’t already dabbled with it, now might be a good time to start.